Newly crowned African champion in the women’s Javelin throw, Kelechi Nwanaga of Nigeria has disclosed that her ultimate target is to qualify and win a medal at the Tokyo 2020 Olympic Games. 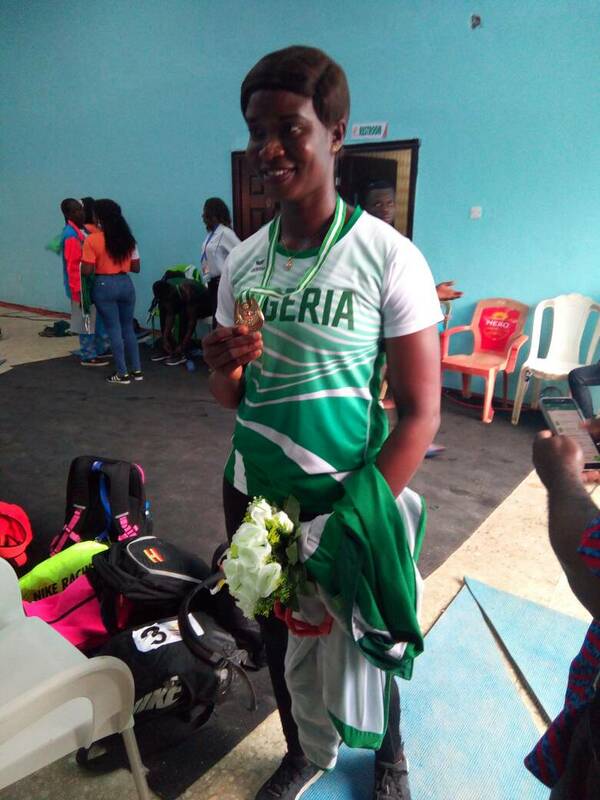 Nwanaga spoke about the Olympics in a chat with busybuddiesng.com after she helped Nigeria win gold in the women’s Javelin throw event of the just concluded African Senior Athletics Championship in Asaba, Delta State. She clinched the gold medal with a throw of 56.96m ahead of South African silver medallist Jo-Ane Van Dyk (53.72m) and Ugandan bronze medallist Josephine Lalaw Joyce (51.33m).